Charlie Cronin scores the winning goal in the final five minutes for the unbeaten Red Riots. 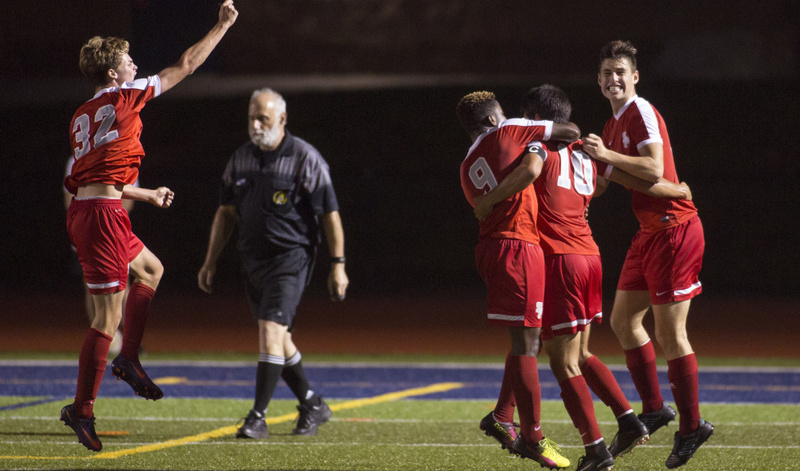 South Portland midfielder Charlie Cronin said Portland probably outplayed his team in Tuesday night’s Class A South boys’ soccer game at Fitzpatrick Stadium. But Cronin managed to make the most of one of South Portland’s few opportunities in the second half, scoring the winner on an Anthony Perron assist with 4:57 left for the 1-0 victory. The Red Riots (11-0-1) remain undefeated, Portland fell to 9-2-1. The Red Riots got off to a strong start with Aleks Kaurin firing off a shot on goal four minutes into the game. But Portland controlled possession for most of the second half, with its offense constantly putting pressure on South Portland goalkeeper Riley Hasson and his defense. The Bulldogs had about a dozen of their shots sail over or wide of South Portland’s goal throughout the game. One of Portland’s top scoring threats – forward Pedro Fonseca – had a handful of opportunities, one of which Hasson thwarted midway through the second period with a sliding save, where he collected the ball before Fonseca could take his shot. 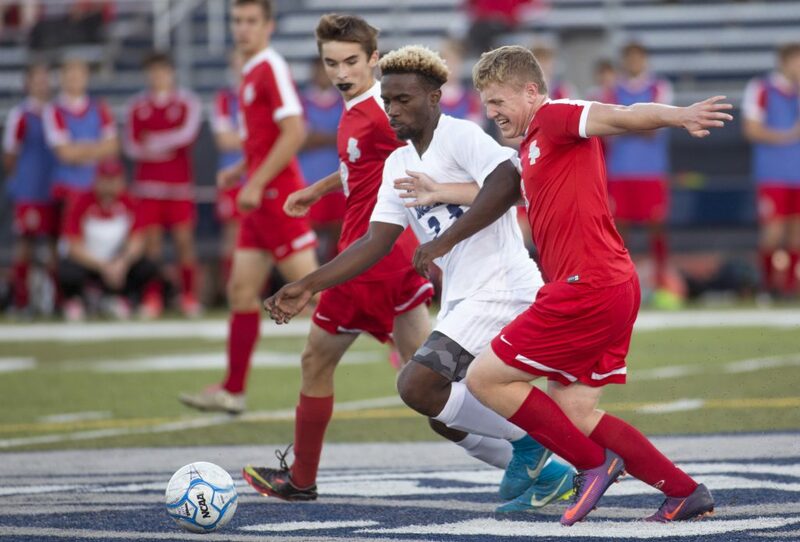 South Portland scored late in the second period off a counterattack. From the right corner of Portland’s side of the field, Perron fed the ball to Cronin, who got open by driving through a gap before burying his shot into the net. 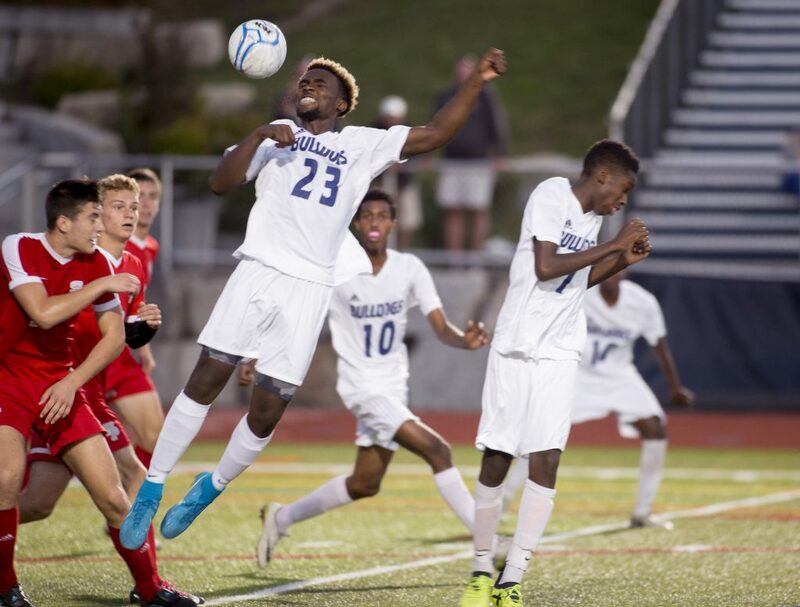 Portland’s last chance came in the final minute following a corner kick, when Emmanuel Yugu’s header sailed just left of South Portland’s goal. Portland goalkeeper Rowan Daligan recorded three saves, and South Portland’s Hasson had four. 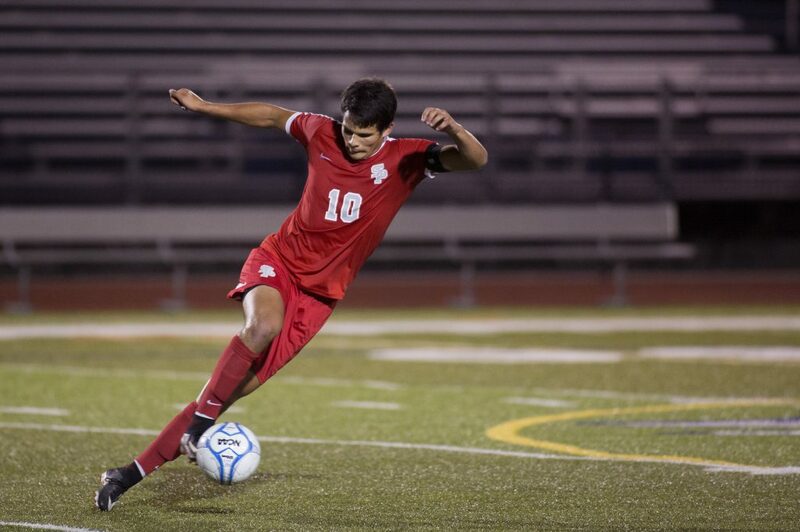 One of Portland’s most dangerous weapons – Fonseca’s long throw-ins – proved mostly ineffective against South Portland. When Fonseca launched the ball from the sideline into the center of South Portland’s box, Hasson was usually there to snag the ball from the air. 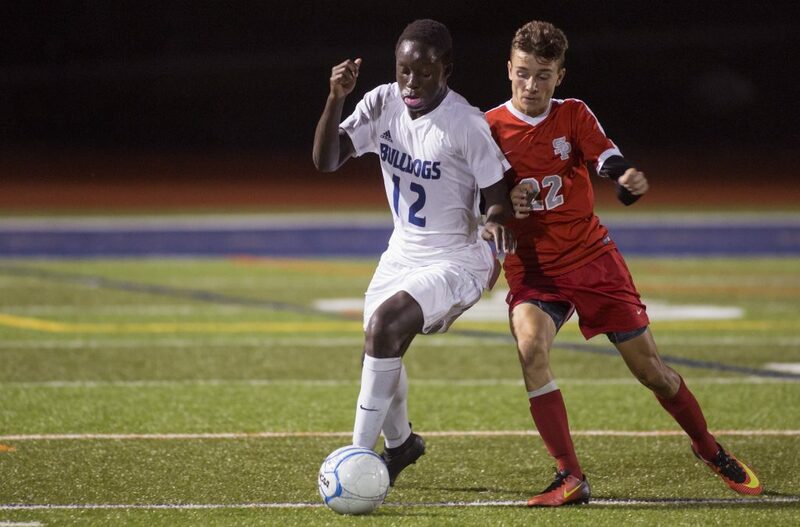 Hasson also kept the Bulldogs from capitalizing off their six corner kicks.